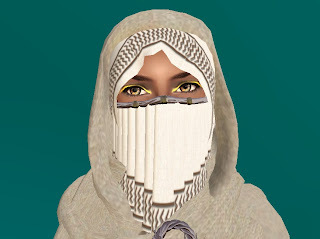 Several people have said that I must blog about the free gifts offered by Sakinah Silks. 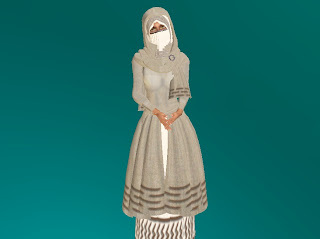 I found a camisk, and this concealment styled outfit, at the Gor Hub location. To find Sakinah Silkds at the Hub go down to the map level then outside to the courtyard, both items are must haves. Outfit: Free "Zakat Freebie" available at Sakinah Silks Gor Hub location. Skin: Free “Delilah *Coco” group gift from BEBAE. Eyes: Free “gold flakes - opal” just released new freebie available at Poetic Eyes. Update: I just went to the newly opened flagship store and this item is available for free there as well. 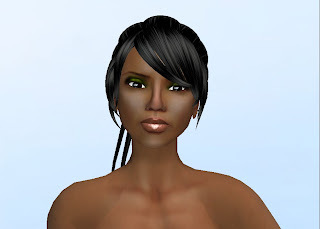 Join the BEBAE group and check past notices for a new Delilah skin in 5 different skin tones. Hair: Free “JUSTIN ~ RD III” group gift from kMADd Enterprise. Outfit: Free “Panther Wear” available at Overt. Bow: 2L “LR WEAPONS Bow of Corcyrus” available on the lower level of the boat at the docks of Corcyrus. Note there is also a sword available for 5L at the same location. Thanks to Sabina for the tip on the Bebae skins. Dutch Touch is having a skin hunt, 5 skin tones of the Onyx Skin special purple edition. Subscribe in store, then click again to check the history, one of the notices has a map showing the locations of all 5 skin tones. Eyes: Free “Evangeline Lilly” from the Lost avatar blogged previously. Hair: 1L “Magika Anti Scissors – Brown” available at Savoir Hair. The main location of I Got Charisma has two free outfits, male and female. 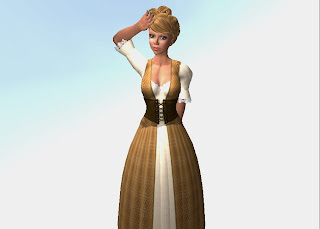 Outfit: Free "Women’s Freebie Baker Dress" available at I Got Charisma. 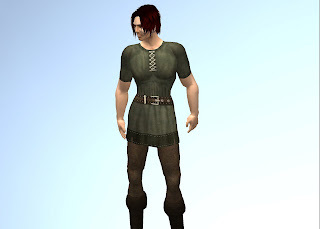 Outfit: Free "Men’s Freebie Baker Tunic" available at I Got Charisma. Thanks for the tip Persephone. Tancred's Landing Trading Post has a few items available for free as a away items to the give back to the Gorean community to increase merchant roleplay. There are also several barrels of trade goods such as fish and nuts available for free. These goods have a scripted shelf life. 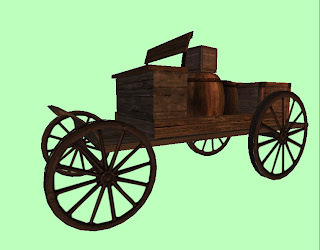 At the end of the set period the object will de-rez, requiring ongoing roleplay to acquire more. Also available is the shelf life script itself to use in your own trade goods. Teleport to Tancred's Landing for more information. Port Haifa Gorean Market has a freebie of the week available just as you walk off the boat. If you continue through the market you find the warehouse where the retired freebies, including furniture and slave chores, are on sale for 10L. Lounger with rug and cushions 10L at Port Haifa warehouse. If you teleport upstairs at the warehouse there are three lucky chairs where you can win complete room set ups, including a complete Gorean Kitchen. Also two camisks available on the wall for 1L. Camisk - 1L "RubyRepclothCamisk" available at Port Haifa warehouse. 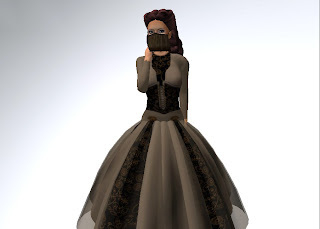 If it makes you uncomfortable wearing the complete avatar, personalize it by wearing the skin over your regular shape and add any hair of your choice. I was wandering around in search of more items to post when I saw this sign. 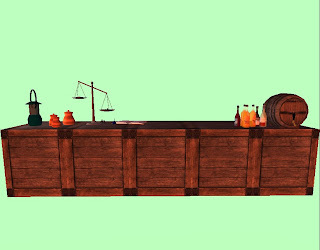 Each merchant has a hidden goody in their booth. 27 or more booths of Gorean Goods. I didn't know about this, I didn't copy them, it's just a strange Gorean karmic oddity. I joined the group and the tag reads "loves gorean goods". I've started to call myself Goody, you can not find me hiding in the booths, but you can get to the Gorean Merchant Fair here. Fantasia Fantasy Clothier has a camping chair. Scroll through the vendor set up by the camping chair and chose from one of the many amazing outfits for men, women, kajira or panther girls then sit for 60 minutes. It goes by a lot faster than you might think, and dedicated inventory sorting time never hurt anyone. Here are just two of the outfits available. Get this look for Free. 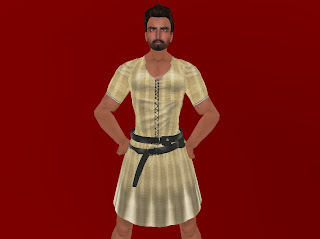 High quality men's outfit at ::Honor Bound:: for 1L in the box labelled kilt. There is a hunt going on right now called “The Scarlet Letter” you can read more details on their blog http://scarletletterhunt.blogspot.com/. Few hunts have Gorean related items but I thought this one might. Hunt dates April 18 - May 18. Go to the starting location and find the letter A, receive a gift and the LM to the next location. So far found piercings, latex, lingerie, and a few cages. AOs (animation overiders) are personal but they don't have to set you back as much as you think. Start with a free one, remove a few stands, add a favorite, and you have your own personalized AO. 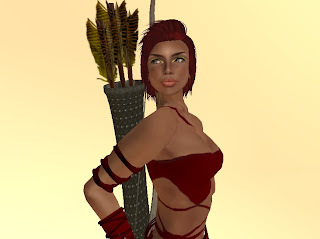 Long Awkward Pose has the best free AO available in SL but are only for avatars under 30 days. Male and female version on the second floor. Imperial Elegance has two female AOs with very natural stands. 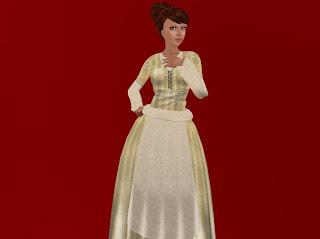 FW should try the "chubby" version so your hands don't disappear in your dress. Free*Style outlet at BLUE BLOOD has a free male and female AO on the wall. Also another AO that includes 3 seperate notecards you can choose Girl, Boi, or Fresh. They also have a male and female version of the novelty AO called "COOOOOLD". 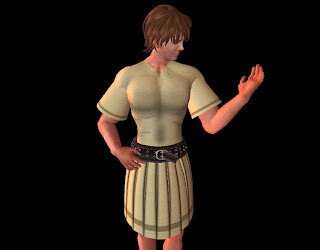 Sylva's Animations has a free male and female AO. These are loaded with quite a few stands and you might want to remove a few of the less natural ones. BareRose freebie section has a box with two AOs in it, male and female lite. Rockberry has a gift box on the table that includes a female AO. Mystical Cookie Designs has a free reduced feature version of the MystiTool. Minight Lotus has a free flacid, non-scripted epeener comes in 3 shades and is tintable. 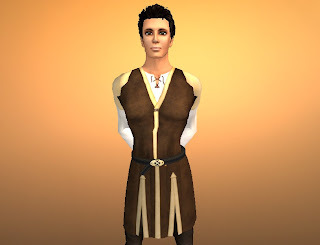 +STONE KEEP+ has two free peasant outfits on the table inside the clothing building. Diversity is giving away a Sneak Peak of their upcoming skins. The pack includes 6 skins each with different skin tones and make up. The Island of Asperiche has three boxes with free outfits as soon as you land on the boat.